Become a professional member of NAMME. The 2019 year will be a period of development for NAMME; we need you to make it a successful one! 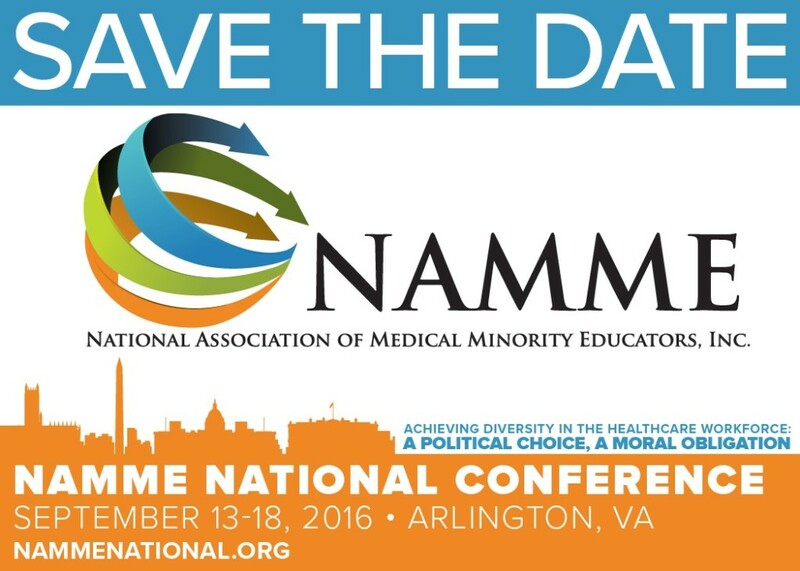 To continue our mission of increasing diversity and inclusion in the healthcare workforce, NAMME needs your help in getting there! The “It Only Takes One” strategy has always been an impactful model in making a difference, “Each One Teach One”, and now, “It Only Takes One” Dollar to One thousand to make a huge difference in support of NAMME ! Please make a donation as little as one dollar a day to $1,000 dollar or more tax deductible contribution. Your support will help fund a scholarship for a deserving student, provide expert presentations and workshops, or fund research initiatives in NAMME. As a member, ally or friend of NAMME, you can help us raise much needed funds to sustain the Associations’ efforts. Your contribution will allow us to continue our advocacy, professional development and support of our volunteerism and underrepresented students. We know that by year 2040, more than half of the US population will be comprised of a racial/ethnic group, so the need is great and will continue to grow-We need you to be the One who gives! Please use the link to provide your gift that will help us sustain our efforts and help those students realize that they are not the only One who believes in their dream of becoming a health professional! Thank you to our donors. To see a complete list of donors click here. Established in 1975 by a group of educators concerned about the shortage of minority health care providers. NAMME has great opportunities in numerous disciplines. Start enjoying membership benefits. Click here to join! NAMME Scholarship is awarded annually to underrepresented minority students. Click here to learn more!